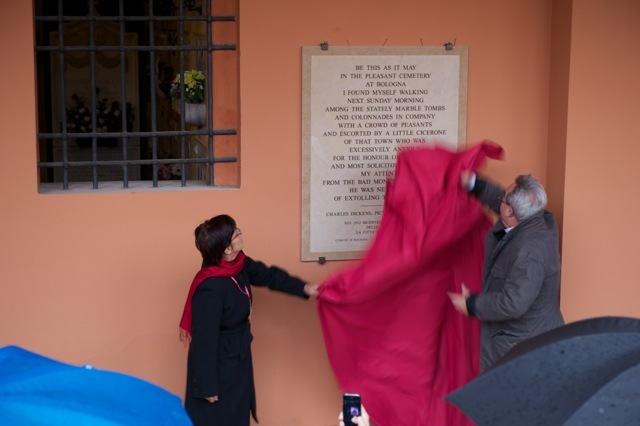 The unveiling of the plaque in memory of Charles Dickens, that took place on November 11, 2012, at the Certosa cemetery in Bologna, was enthusiastically received by the public. 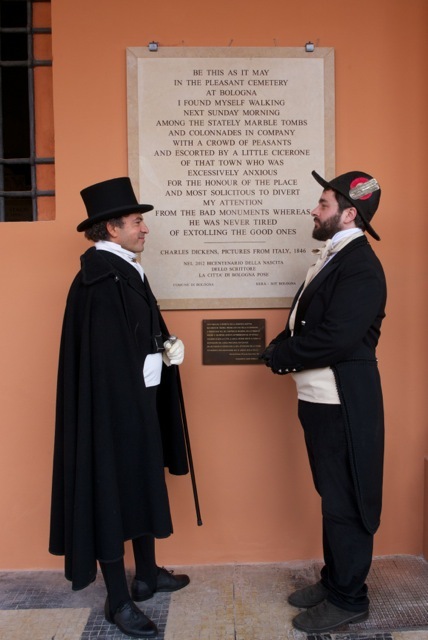 After the ceremony, a period costume commemoration was held: the event recalled the visit the English writer paid to our cemetery in November 1844, featuring Marcellino Sibaud, the Attendant Demonstrator as his guide. 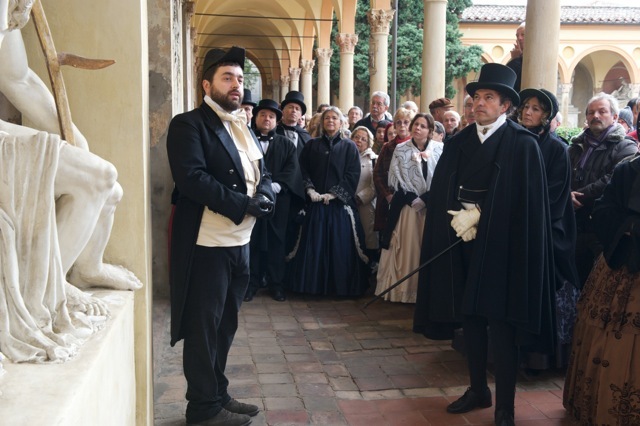 Thanks to the Associazione 8cento it has been possible to faithfully reconstruct itineraries and period costumes. 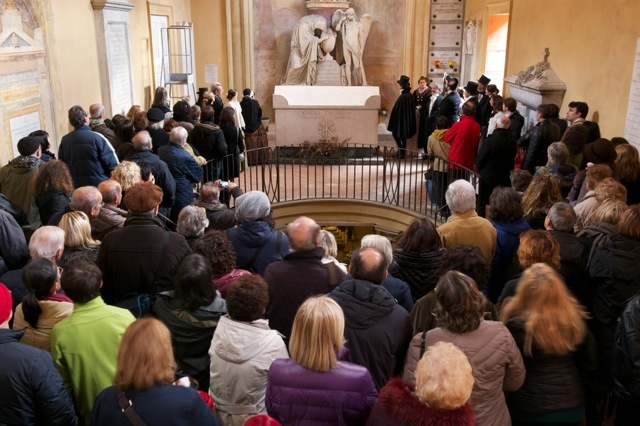 Despite the severely inclement weather, participants flocked in.